On September 9, 1970, promoter Ed Francis presented a card at the Civic Auditorium featuring a grudge match between Ripper Collins and his ex-valet, Friday Allman. In the night's first match, Hahn Lee defeated Mac Macfarland. 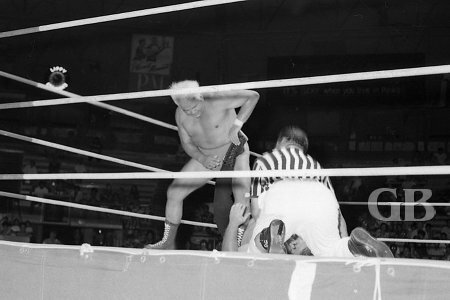 In the next match, Kinji Shibuya took two straight falls from Jack Armstrong. 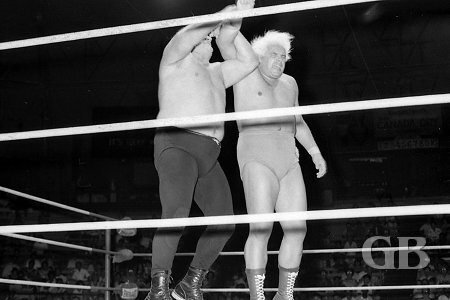 Next, Pedro Morales and Billy Robinson wrestled to a draw as did Sam Steamboat and Johnny Barend. 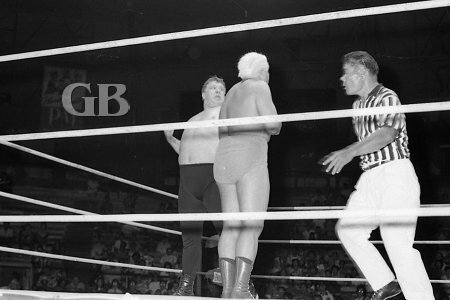 Mac Macfarland attempts to escape Hahn Lee's Full Nelson. Hahn Lee takes a breather after applying a Head Scissors on Macfarland. Jack Armstrong aggravates Shibuya's caulliflower ears with his knees. 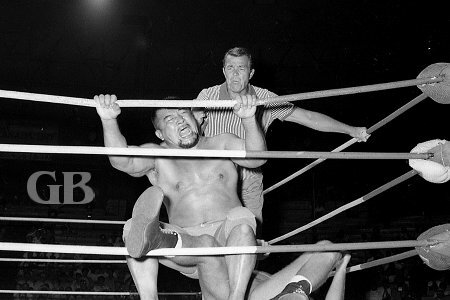 Shibuya bounces up and down on Armstrong's knee as referee Pete Peterson watches. Robinson ups the pressure with his head on Morales' back. 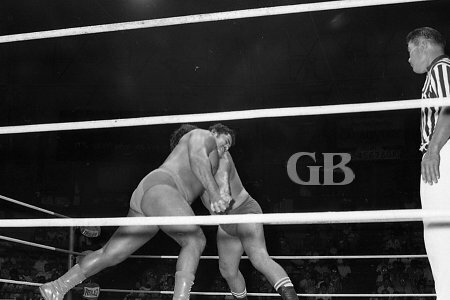 Pedro Morales and Billy Robinson tie up in the middle of the ring. Robinson bridges with his head to keep his shoulders off the mat. 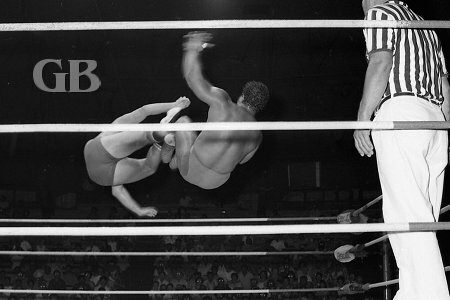 Morales and Robinson simultaneously Drop Kick each other. They both missed. 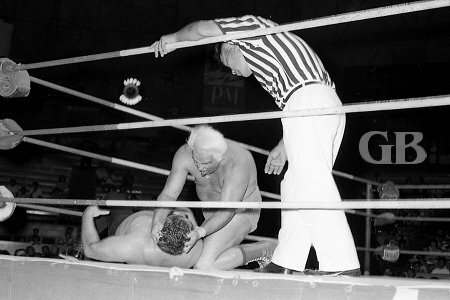 Johnny Barend writhes in pain after sustaining a blow to the head by Steamboat. Barend gets even by choking Steamboat in the corner. And outside the ring too. Friday Allman outside the ring with his mentor Sam Steamboat. The main event match came about as result of a match that took place between Collins and Sam steamboat a few weeks ago. 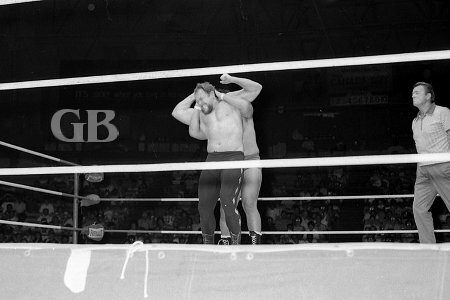 During the match Collins had Steamboat in the corner of the ring and his trusted valet Friday Allman went to spray Steamboat in the face with a can of disinfectant. 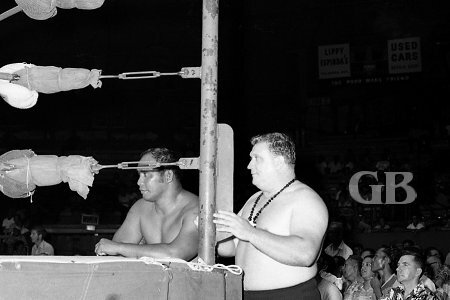 However, Steamboat ducked and Allman instead sprayed Collins in the face, who then fell to the mat. 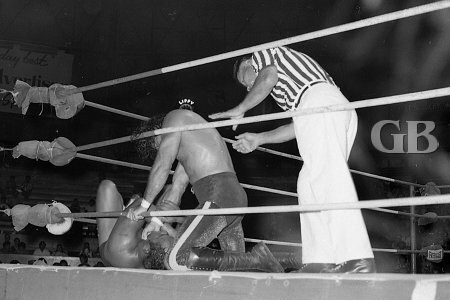 Steamboat then took advantage of the situation and pinned Collins to win the match and Hawaiian Championship from Collins. The following Saturday on KGMB TV 50th state wrestling show during the locker room interviews, Friday Allman came out to spray the area Pryor to Collins' interview. Collins came out and told Friday he was fired and then slapped Friday around on TV. Friday and Ripper feel each other out. Friday puts an Arm Bar on Collins. Feeling humiliated, Friday went to Sam Steamboat and asked Steamboat to train him for a match with Collins. Despite Steamboat's help, Friday Allman gave his best effort but was no match for Ripper Collins, who soundly defeated him. In return, Collins does the same with Allman's leg. The Ripper lives up to his name as he starts biting Allman. 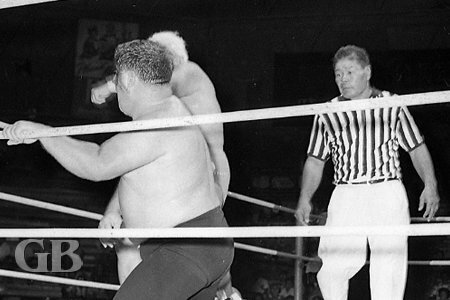 Referee Wally Tsutsumi monitors the situation as the blood starts flying.